I have wanted to participate in the Walking With You series that Sufficient Grace Ministries hosts for a couple years, but have never gotten around to it until now. I thought now is a good time to do it because they have changed it up a bit and I feel like I have proper time to devote to writing each week. I also wanted to do a series from the beginning and other times I have stumbled upon a series when it was already halfway through. grace washes over us in the pouring rain. The series will last six weeks and there will be a different topic each week to write about. You can add a link to your post each week on the SGM (Sufficient Grace Ministries) website. Share your thoughts on the SGM blog and be sure to read what others had to share and show some love and support to them. You can join in whenever you wish and for as many as you are able. To see all my posts for this series, click here. 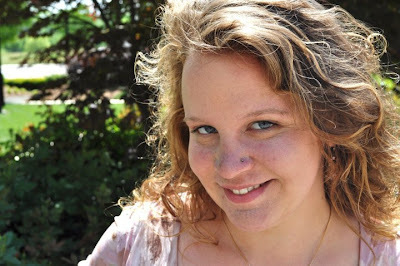 Week 1: January 7, 2013 ~ Introduction and Where are You Now? If you are new here, welcome. My name is Hannah Rose. I am not new to this walk of grief, though at times, I can hardly believe how much time has passed since my two losses. I am the mother of two precious little ones who are at Home with the Lord. I have no living children. In just under a month, on February 6th, it will be my first child's 4th Heaven Day. That is the day I had an abortion at the age of 19. I was unmarried and completely terrified. If I had known then the inevitable pain and regret that would come as a result of my "choice," I would most likely have a three-year-old right now. 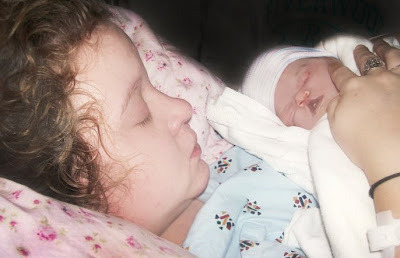 I found out my child was due on October 1st, 2009 and have always felt in my heart that he was a boy. I am thankful to have peace in this. I have named him Luke Shiloh, meaning "light and peace," as a testimony to the truth that Jesus Christ brings light in the midst of the deepest darkness and peace to the most broken, aching, longing, desperate hearts. I have my ultrasound photo of Luke, the only photo I will ever have of my first child. I am so thankful for this. I have his name, ultrasound photo, knowledge of his due date, and other keepsake and memorial items...but it hurts knowing that's all there will ever be. I try to picture what he might look like today, but don't even know what to imagine. Would I have placed him for adoption or parented? On March 16th, it will be my daughter, Lily Katherine's, 3rd Birthday in Heaven. If it weren't for Luke, I probably would have had an abortion with her. I got pregnant with her only a few short months after losing Luke. I was 19, unmarried, and still completely terrified. They are both as much a part of the story as the other. They are both the instruments the Lord used to bring me back to Himself. At times, it feels like so long ago that I held my little flower in my arms...yet at other times, it feels like it was only yesterday. Lily and Katherine both mean "purity." She is a symbol of my purity and redemption in Jesus Christ...and she will forever remain pure and innocent. There has been much healing in my life since then, yet I know there will always be a piece of me missing...a spot in my heart that is completely and entirely Luke's and Lily's. No other child could ever replace them, nor would I want them to be replaced. I am not in fresh grief anymore, yet at times my heart aches so tremendously that it feels like it all just happened. Thankfully those feelings come less and less as times goes on. Some say, "time is a healer," but I know that is just not true. Jesus Christ is my Healer. And He has placed His soothing balm over this broken heart of mine. I wouldn't say it gets "easier" as the months and years march by, but somehow His strength is sufficient to bear what would otherwise crush me if my hope were not in Him. Grief changes, just as the seasons. The grief, the love, has become etched into the very fabric of my being. 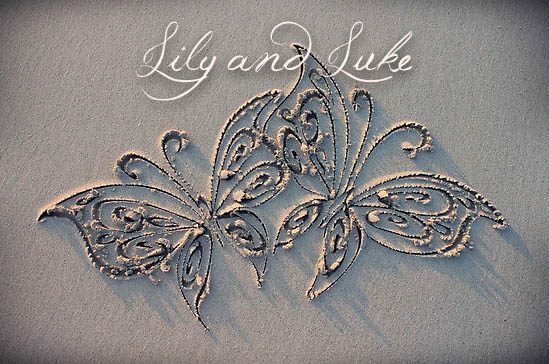 It is so much a part of me that I cannot even remember life before Luke and Lily. 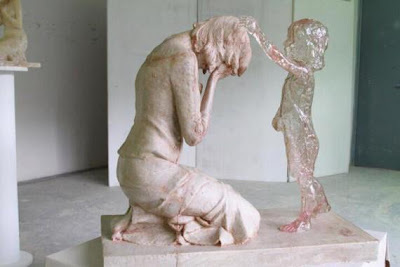 I cannot remember not having a grieving mother's heart. My life is marked as either "before my babies" or "after my babies." The shock of losing Lily has worn off and it is now just a part of me. I can barely remember what it was like before grief and loss were a part of my life. But, you know what? I am okay with that. Because I am who I am because of my two babies of Heaven. God has brought me to dreams and desires that I never would have had (most likely) if it weren't for them. At least, it wouldn't be the same had these things not touched my own life in a most intimate way. My dream is to write a book about the work the Lord has done in my life. My dream is to speak out in any place God gives me the opportunity to share my testimony of LIFE and how He saved a wretch like me! Losing Luke and Lily and loving Luke and Lily colors every moment of my every day. Though I don't think of them nonstop, they are always there, in the back of my mind, in the midst of everything. My mom said just as her four living children are always in her thoughts, it is only natural for me as a mother to have my children in my thoughts. Just because they aren't here doesn't change that mother's love. Every day, there are so many reminders of them. Everything I do is stitched with its color." Beautiful words...yes they are always in our thoughts--love the quote about the needle and thread. That is Beautiful. I must say I agree with the other two ladies. I always like that you add quotes to your writing, and I especially like the one from Shades of Blue. When you told me about that and then I read the book, I couldn't get it out of my head. I dont think I had ever read your story before. I'm sorry for your journey, but isnt it amazing what God can do with our sorrow and pain?! Thank you so much for sharing with us! Thank you for being His willing vessel. So glad you are walking with us. First, I thank you so much for the loving comment on my blog. Pieces of it, brought tears to my eyes.... tears always flow when the mention of feeling my love for Isaiah through my words.... I always ask God to have my love, magnify through my words. I love the meaning behind your children's names... so meaningful, wrapped with beauty. I also loved how you wrote, "She is a symbol of my purity and redemption in Jesus Christ...and she will forever remain pure and innocent." What a perfect way to think in remembrance of your daughter... beautiful. You write so beautifully. You children are a beautiful blessing because of your powerful testimony. Thank you for sharing them with us. Sweet girl, I always think of you so much wiser than your years. Proud of your courage and what your picture of motherhood looks like. One day, there is no doubt you will hear, "Well done, good and faithful servant!" as your sweet little ones run to meet you. What a precious day that will be. Very beautiful! Thank you for sharing Luke, Lily, and your story! This is so beautifully written, so honest and so loving. Thank you for sharing your precious babies with all of us! You are such a beautiful mother!! Thank you for sharing Luke and Lily. Yes, they are always there. "It simply was Friday." I like that quote - I had not read it before visiting your page. I am looking forward to walking with you.